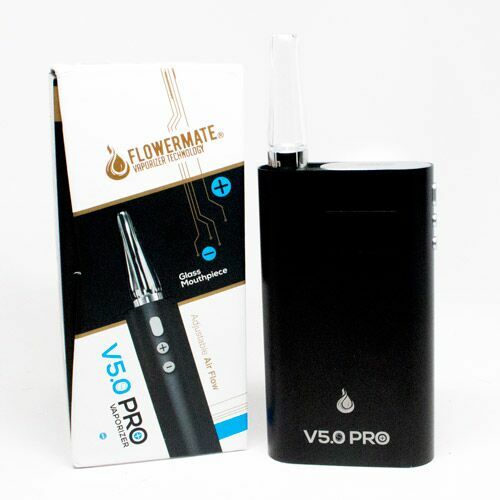 Taking vaping to the next level, the Flowermate V5.0s Pro offers digital temperature control with a full range of settings and a re-engineered ceramic chamber that allows for a fast 8 second heat up. Compatible with dry herbs, oils and concentrates, this super portable vape features an OLED display on the front, control buttons on the side and a fully isolated air path. Control of the airflow is also safely in your hands for the duration of your session. With an impressive battery life of approximately 2.5 hours, the charge time from zero battery is around 4 hours. 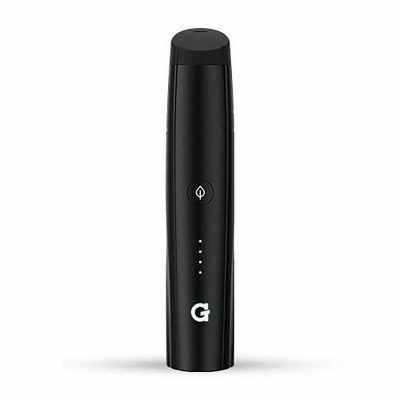 The Flowermate Pro is constructed using high quality materials featuring a ceramic heating chamber and anodized aluminum outer shell giving the vape a sleek look and feel. The detachable mouthpiece is made from borosilicate glass which eliminates any possibility of contamination of the vapor. The vape also features a handy storage compartment for the mouthpiece which protects it when you’re on the go. The Flowermate Pro also features an OLED Screen which displays the current actually temperature, set/target temperature, status bar to indicate temperature and the battery life. 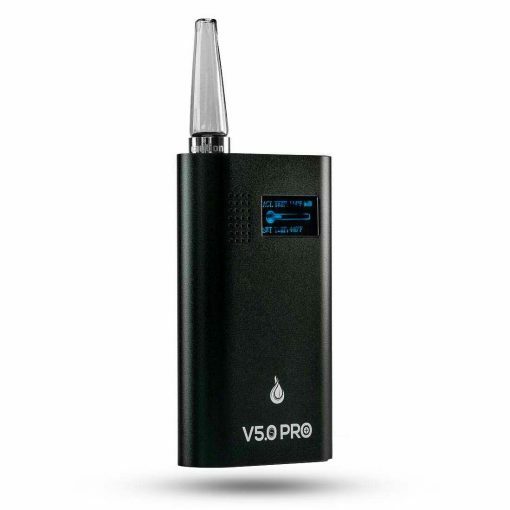 This vape gives you complete control over your vaping temperature and with the OLED screen showing you all the information you need, you’ll always know the vapes status. The Flowermate Pro Vaporizer gives you the freedom to adjust by the degree to any temperature between 104 F-446 F (40 C-230 C). 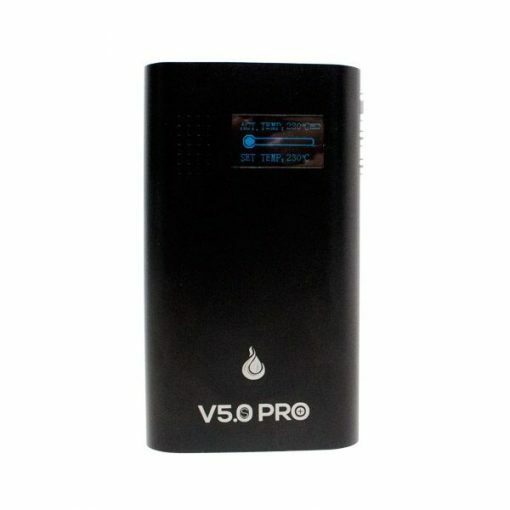 You can monitor this on the OLED screen on the front of the vape. Another unique feature of this device is the super fast 8 seconds heat up time powered by 2 rechargeable lithium batteries. It also has an automatic shut-off feature that kicks in after 6 minutes to prevent wasting your battery or herb. Due to the temperature range achieved within the chamber, combustion of you material is never a worry. The ceramic heating chamber provides even conduction heating to your materials ensuring smooth vapor with no harsh hits. The fully isolated air path allows for pure, clean vapor. 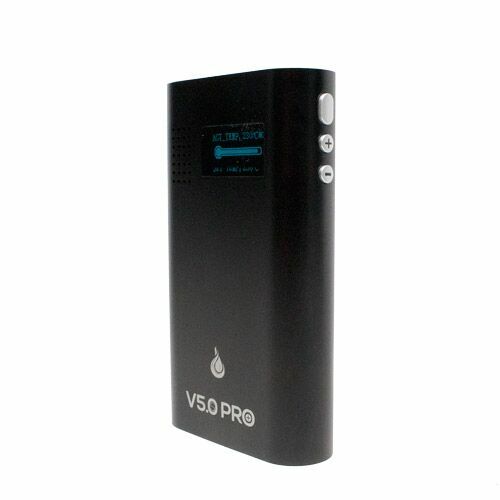 The vape also has an adjustable airflow allowing you to control the draw resistance and control your perfect vape. Built with the best medical grade material, and borosilicate glass mouthpiece, the Flowermate Pro offers the purest vape experience. 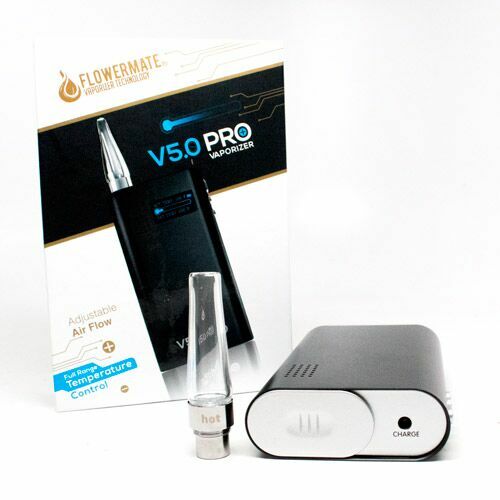 The Flowermate Pro offers 2.5 hours continuous vaporization from a full charge supported by a dual Lithium-Ion battery. From zero battery, the device will take around 4 hours to fully charge. 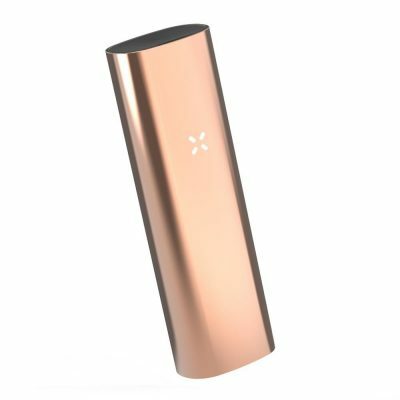 with the pass-through function available, you can charge it while continuing to vape if you like! 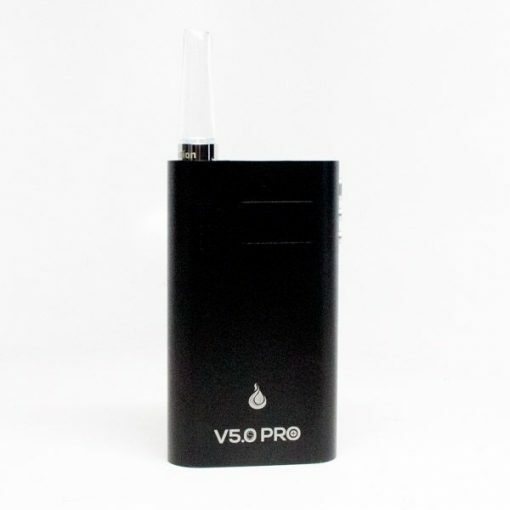 In order to conserve battery and material, the vape will automatically shut-off after 6 minutes idle but you can just turn it right back and continue vaping if you’re not finished your session. Fully Isolated Air Path allows for pure and clean vapor.